The health benefits of Puerh Tea perform as assistance. You should not be willing prospective results only by drinking the tea. To reach the goal of being healthy, a rationally scheduled habit of diet is as important as taking exercises. During the process of ferment, large molecules of carbohydrate decompose into small molecules of sugar and soluble sugar. 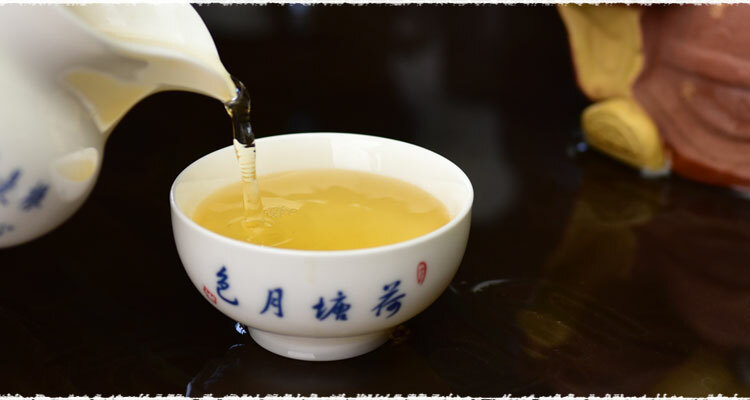 Soluble sugar is the key of forming the taste and viscosity of Puerh liquid, which presents the flavor of “sweet”. Tea Polyphenol is the most particular feature in tea. It will be fermented into tea pigment, which gives liquid the unique color and brings out the pristine red brown color of Puerh. Catechins is a type of Ployphenol. Due to its astringent and bitter taste, it has a large impact on liquid’s flavor. Catechins in tea could be divided into three kinds in free form (Catechin, Epicatechin, Epigallocatechin) and two kinds of esterified gallic acid (Epicatechin gallate, Epigallocatechin gallate). The gallic acid content is higher. 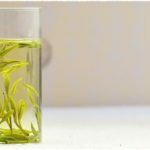 Puerh tea contains microorganism. The health benefits of effective microorganism act in two ways in Puerh tea. 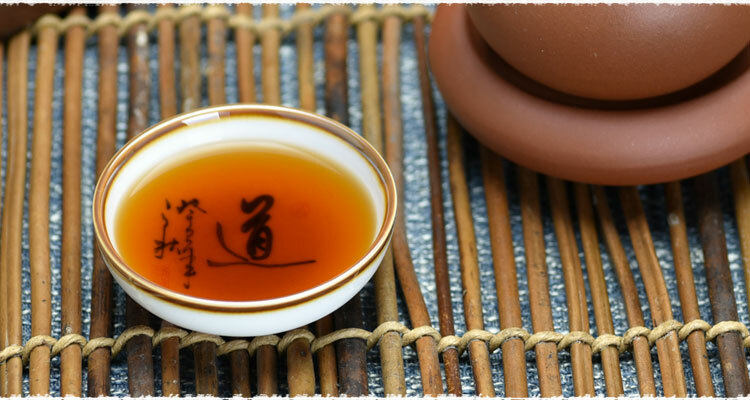 Firstly, it forms the good features of Puerh tea: sweet, smooth, mellow and the special aged aroma. 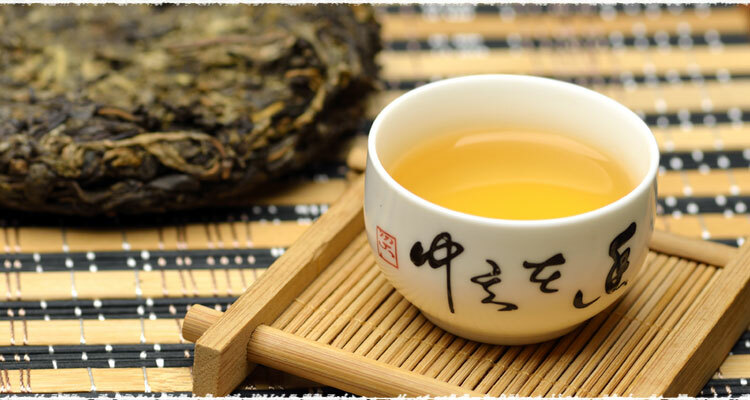 Secondly, the interaction among those microorganisms will produce beneficial substances helping the health benefits of Puerh and making its unique feature. The health benefits of Puerh:Helps losing weight; Preventing cancer; Protecting teeth; Protecting stomach; Anti-radiation; Anti-aging. Effects of losing weight by drinking teas performs slowly. Your favorite flavor is also lowly formed by thousands of tastes of different teas. That’s how we said quantity breeds quality. 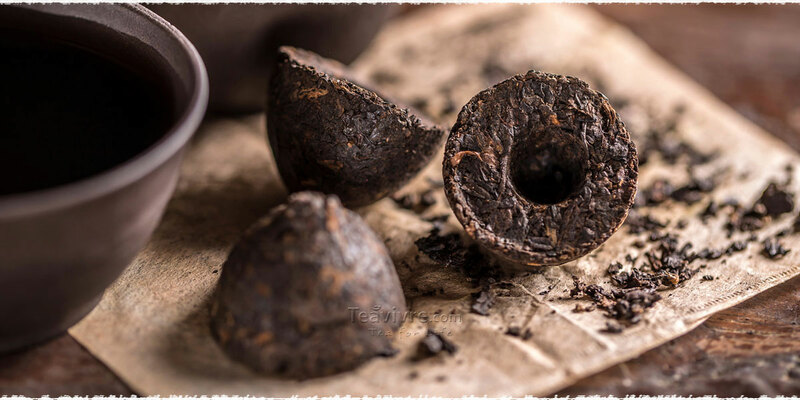 If you are fresh of Pu-erh tea, you should know well about it before your first brew, like Pu-erh can be divided into Raw Pu-erh and Ripe Pu-erh. These two kinds present varying flavor and color because of the mysterious craft of “Wodui” (pile-fermentation). 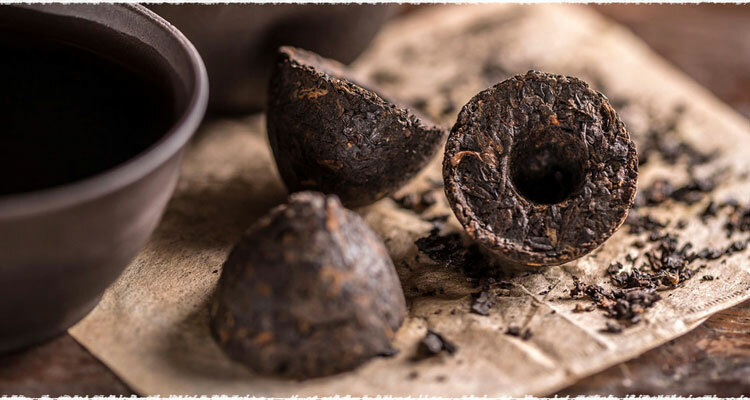 The article Understanding the Difference between Raw Pu-erh Tea and Ripe Pu-erh Tea will help you to know Pu-erh based on the learning of the difference between Raw Pu-erh and Ripe Pu-erh. Most people indicated of being unused to the special flavor of Pu-erh. For the first try of Pu-erh, it will taste very different from Green tea and Oolong tea. The flavor is formed during the process of Wodui (pile-fermentation). Here TeaVivre will explain to you what Wodui is and how it works. Wodui, the pile-fermentation, refers to ferment tea leaves by piling them up. To cover a fabric on the pile, pour water on it and heat up the temperature will speed up its process of fermentation. 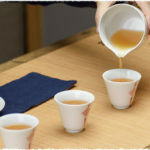 Microbes which produced during the fermentation will cause chemical reaction, and then bring the special earthy and fishy taste into finished teas. 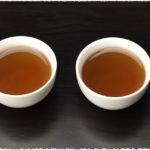 If it’s your first attempt of Pu-erh, the taste may confuse you – it is not so easily acceptable. Actually it is the normal flavor of Pu-erh. 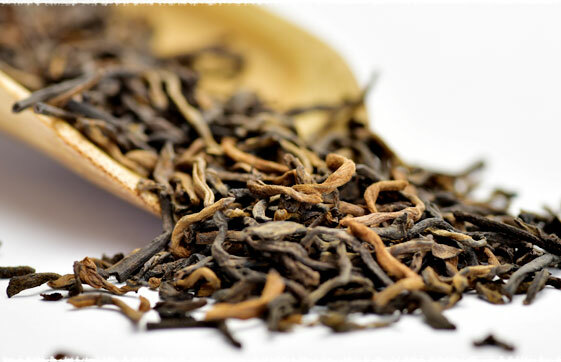 We suggest you to start with mini Tuo cha or loose Pu-erh, then gradually adapt to the flavor. 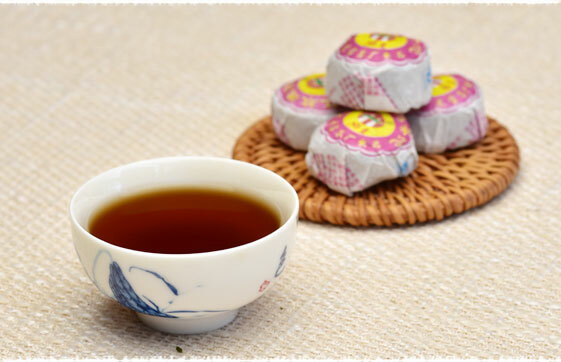 Tips: mini tuo cha needs rinsing twice. Use a small amount of water that just cover over the teas for rinsing. The video below will show you how to brew Pu-erh tea. I uptake and hold iron. Does this tea have high levels of iron and if not will it reduce iron up taking??. The iron content in tea ranks the middle among all the trace elements, and iron content of pu’er tea ranks the middle among all kind of tea. So the level of iron in pu’erh is not too high. Besides, if we drink tea while eating food, the tea polyphenols will, to some extent, affect the absorb of iron, and it related to the level of tea polyphenols. And we don’t recommend this way, because it will hurt our stomach. I’m not so professional about this, so hope it will helps you a little. Avid tea drinker. Wish to try pu erh tea where to buy? You can try to find local tea store and see if they sell puerh teas. And you can also purchase online. If you are interested in our teas, you can click this link and see if there is any puerh tea that you may want to try. Actually, the raw pu-erh will never become aged ripened pu-erh. Usually we said that the raw pu-erh will become more and more staler and mellower after keeping it for some year. Hope this is helpful for you. hi does pu erh tea really help in losing a few Kgs? how many cups should i drink a day? is there a specific time on when it works the best? will it help make my body figure slimmer? Thank you very much for writing to us. About your questions, you can click our another passage to see: https://www.teavivre.com/info/pu-erh-tea-weight-loss/. Hope this would be helpful for you. If you have any questions, please feel free to contact us. I am searching for pu-erh tea. I got loose tea when in Lancaster PA but in malls to expensive. Any suggestions where to get this? I notice a difference when I drink and when I do not. i kept weight down when I had this on hand also. Sincerely sorry that I do not familiar with your place and do not know if there are any Chinese tea stores at your place. But if you think the pu-erh tea in malls is very expensive, you can buy pu-erh tea online. Actually, pu-erh tea can be divided into raw pu-erh and ripened pu-erh. If your stomach is not very well, you can choose ripened pu-erh tea. If your stomach is good, you can choose both. Hope this is helpful for you. if you have any questions, please feel free to contact us. I am lokking for a tea without Catekines- Would Pu erh dark tea work? Do you mean you want to find a tea without Catechins? Actually Pu-erh tea also has Catechins, even all the teas that picked from tea trees have Catechins. Hope this is helpful for your concern. About Catechins, you can click this link to have a look: https://en.wikipedia.org/wiki/Catechin#In_food. Do you know where to read more about what is the reason for why it has to drunk very freshly brewed vs. beeing standing in a pot for a while allso can? Or do you know exact reason for this? To drink the freshly brewed tea is suggested. Because after brewed, the fresh liquid is still warm, and the nutrition and other benefitial substance in it are not affected by the air, therefore they are still effective for health. Moreover, often the tea’s flavor, aroma and taste will be better when it is still warm. If you put the liquid aside for a while, when it cools down, some substance may be changed due to temperature changing or oxidation, besides the flavor and taste will change, too. This has been most informative; thank you very much! I still do not know which pu-erh is better for weight loss, so what I have started doing is to put one of each mini tuo in an infusion cup, fill with boiling water about 240-270 ml, cover and let it steep overnight on an electric cup warmer. I sip this very slowly, actually I take my vitamin and herbal supplements with it. I am hoping to get the benefits of both pu-erh teas this way. Can you send any other suggestions to me please? All teas have the effect of weight loss. If your stomach is vulnerable, we recommend that you drink ripened pu-erh. Raw teas have polyphenols. And ripened teas’ polyphenols is less than raw teas, but ripened teas have lovastatin. The lovastatin is used to lipid-lowering. So both raw teas and ripened teas have the effect of weight loss. They are depends on different people’s drinking tea habit. Hello, thank you for the informative article on Puerh tea. I wonder though if the health benefits of this tea remain if the tea is iced?